OSX 10.5 and 10.6 have introduced some significant changes to printer driver settings which may cause your prints to be darker than you expect when using ICC profiles. In the i1Publish software this option will be in the advanced settings. 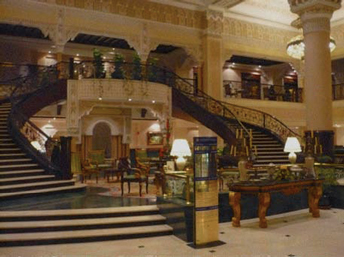 The steps below will help you to correct this problem. Check your printer manufacturer's website to make sure that you have the most current printer driver and it is a final (not beta) version for your operating system. Start your custom printer profiling procedure. 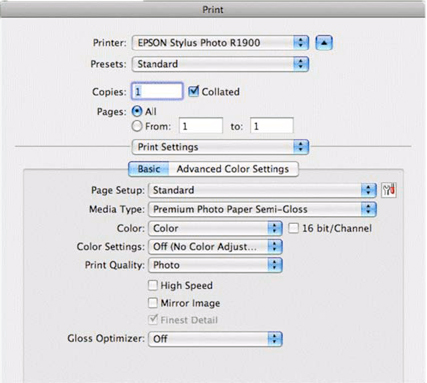 Go to your print settings and choose the appropriate paper type and print quality. Be sure to turn off color management in the driver. Open your image and make sure the correct source profile is assigned. Choose File > Print. Under Color Handling select 'Photoshop Manages Colors'. Pull down on the Printer Profile menu to select your profile. 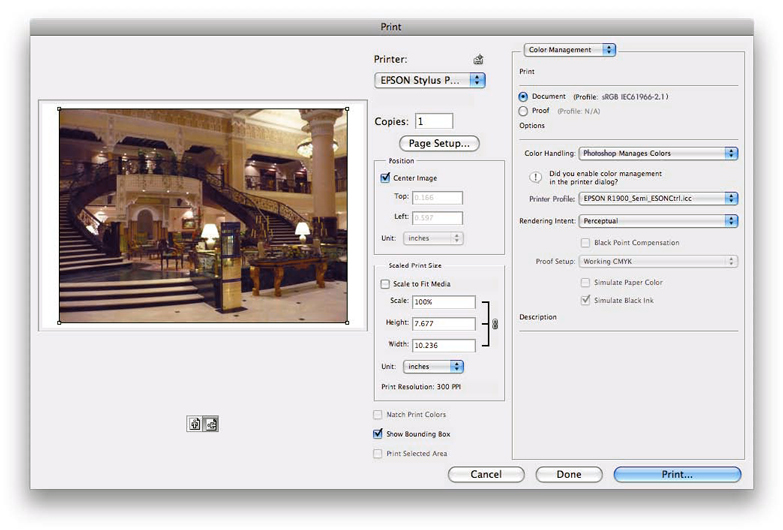 Click 'Print' to bring up the print dialog box. In the Color Matching menu 'ColorSync' is preselected and not changable. Don't worry-this setting will work correctly. 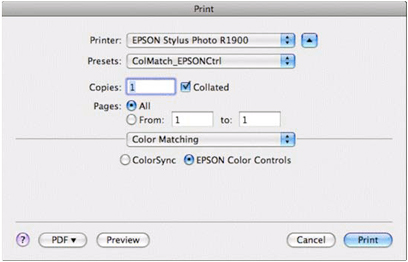 Make sure to select the same paper type and quality settings that you used when creating your profiles, and that color management in the driver is turned off.